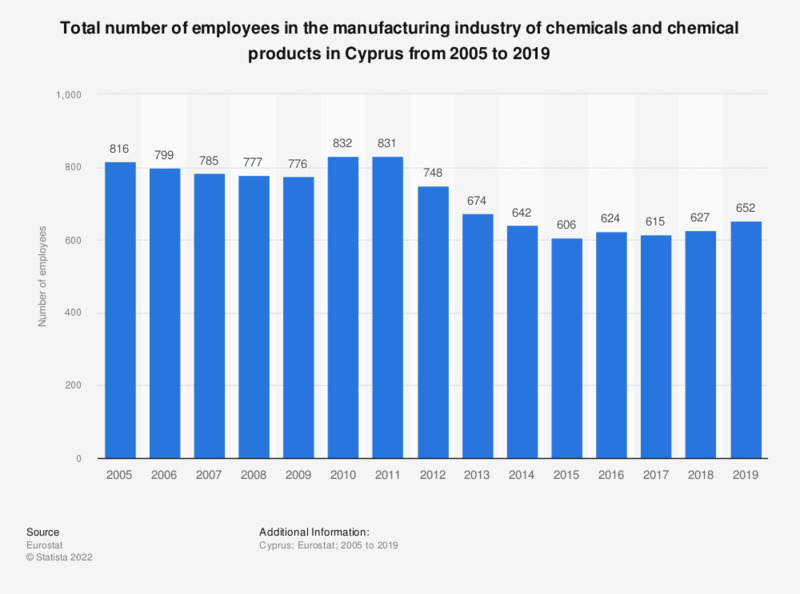 This statistic shows the total number of employees in the manufacturing industry of chemicals and chemical products in Cyprus from the years 2005 to 2014. In 2014, the Cypriot chemical manufacturing sector employed a total number of 642 people. Data coverage corresponds to code C 20 of NACE Rev 2. Statistics on "Chemical industry in the UK"